THE Zimbabwe Revenue Authority (Zimra) yesterday foiled an attempt by MDC-Alliance deputy chairman Mr Tendai Biti to smuggle copies of his book, Democracy Works, without paying import duties. 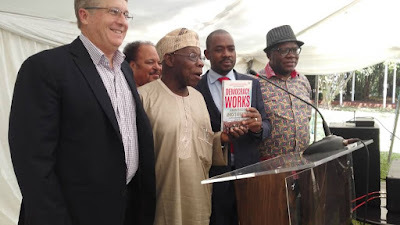 The book was co-authored with former Nigerian president Olusegun Obasanjo, Greg Mills of the Brenthurst Foundation and Jeffrey Herbst, the president of the American Jewish University. The incident happened at the Robert Gabriel Mugabe International Airport ahead of the book’s official launch at Sapes Trust resulting in delays of the proceedings. It was later launched at Sapes Trust at an event attended by MDC-A president Mr Nelson Chamisa, US Ambassador to Zimbabwe Mr Brian Nichols and several of the party’s allies in the non-governmental organisation sector. Soon after the launch, Mr Biti acknowledged that the consignment of books had been confiscated over import duty. “They just took our books. We had like 200 books which we intended to give our people, but they just took them and mind you this is the second time they just took them. “They just gave the excuse (about) customs and we said we can pay the duty, they refused,” he said.